Whether you are planning an intimate affair or a large, corporate event, good food can help to make it a success. Choosing Mandola's will help you to make the right impression. People of all ages love the great, authentic Italian food and will remember your event and the food that was served fondly. Here are five perks of choosing Mandola’s catering for your upcoming celebration or corporate event. One of the major hassles that people have with upcoming events is the preparation and setup. When you choose to have Mandola's cater your event, we will take care of all the food preparation and setup for you. This can allow you to concentrate on the other details of your party or event while knowing that you have ordered food that everyone will love. There is nothing quite like the wonderful scents of Italian cooking. Young children and adults alike will love the terrific flavors that are offered by the food from Mandola's. When you order catering, we freshly prepare all the items on your selected menu. 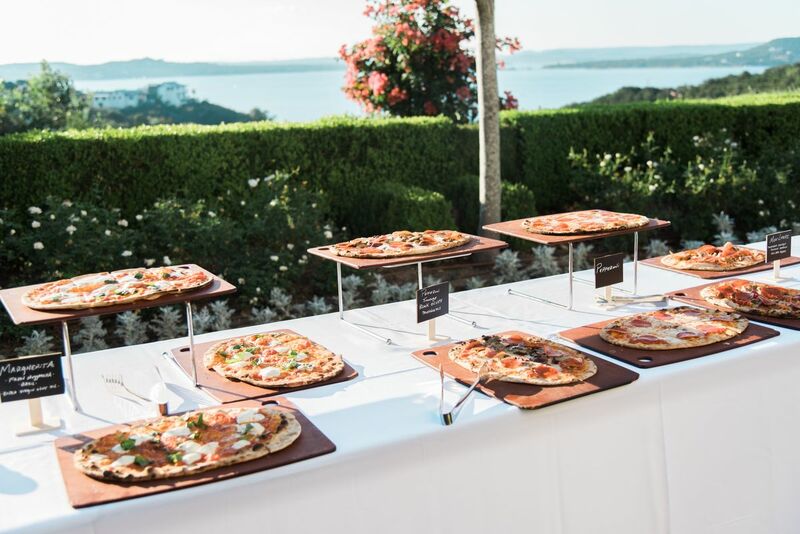 We can bring our mobile pizza oven and our gelato cart to your venue so that everyone can choose the favorite items that they love the most. Your guests can also enjoy our passed appetizers while they socialize with each other. Full-service catered events from Mandola's include everything from beautiful serving platters, chafing trays, plates, to utensils. Our staff will arrange everything for you, allowing you to enjoy how beautiful everything looks. We also supply professional staff to serve your guests on your buffet line. Our staff can arrange your appetizers on their serving platters beautifully. Mandola's has banquet rooms available for your event, but you can also choose to have it at the location of your choice. We are able to deliver all your catered food to the site and set up your buffet for you. We can offer offsite full service to both private residents and businesses in Austin and throughout the surrounding areas. Our delivery and full-service options allow you to celebrate in the location of your choosing while still being able to enjoy the delicious food that is offered by Mandola's Italian catering. When your event or party is over, cleaning up can be a huge job. When you choose Mandola's for your full-service catering needs, our staff complete the food cleanup for you. You will be able to relax and enjoy the knowledge that your event was a success. Choosing Mandola's catering at your next party or event can offer you multiple benefits. When you choose us, we can take care of the food preparation, delivery, service and cleanup so that you can concentrate on the other details that are involved in the planning. We can help you to make a great impression, and your guests will rave about the terrific food that you served.